Draft: 2013, Boston Red Sox, 9th rd. Full name is Kyle Jared Martin. Married to Holly. Signed by Jon Adkins (Red Sox). Pitched for 4 seasons at Texas A&M, where he finished his career ranked 3rd on the school's all-time appearances list (98). Played for former Red Sox pitcher Calvin Schiraldi at St. Michael's Catholic Academy in Austin...Was also a standout basketball player and student. Originally selected in the June Draft by WSH in 2009 (39th round) and CWS in 2012 (35th round). Made his ML debut with 2 appearances for BOS in July, but spent the rest of his season with Triple-A Pawtucket...Was a non-roster invitee to Red Sox spring training...Averaged 8.4 SO/9.0 IP for the PawSox (50 SO/53.2 IP)...Worked more than 1.0 inning in 19 of his 33 appearances for the PawSox, including 2.0+ innings 16 times...Posted a 0.79 ERA (1 ER/11.1 IP) in 7 appearances for Pawtucket in May...Recalled from Pawtucket for the 1st ML stint of his career on 7/19...Made his ML debut on 7/20 vs. TOR, throwing a scoreless 7th inning...Struck out the 1st batter he faced (Steve Pearce)...Worked 1.1 IP in his 2nd appearance on 7/21 at LAA...Optioned back to Pawtucket postgame on 7/23...Designated for assignment on 9/5 when Carson Smith was reinstated from the 60-day disabled list. Made 36 relief appearances for Triple-A Pawtucket, finishing 3-4 with a 3.38 ERA (25 ER/66.2 IP) and going 6-for-6 in save opportunities. Allowed 6 ER in 8.0 IP in his first 5 outings of the season, but posted a 2.91 ERA (19 ER/58.2 IP) and held opponents to a .215 AVG (45-for-209) in his remaining 31 games (beginning 4/25)...In his final 17 games (beginning 6/20), had a 2.29 ERA (9 ER/35.1 IP) and a .207 opponent AVG (25-for-121). Did not allow a hit or a run in 4 outings against Rochester (11.1 IP, 10 SO). Made 4 appearances in which he surrendered 0 hits in 3.0+ IP: 4/18 at Rochester (3.0 IP, 3 SO), 5/8 vs. Rochester (3.1 IP, 3 SO), 7/7 at Durham (3.1 IP, 2 BB, 6 SO), and 7/26 vs. Rochester (3.0 IP, HBP, 2 BB, 3 SO). Held right-handed batters to a .306 SLG, allowing only 5 XBH in 144 AB. Limited opposing hitters to a .154 AVG (10-for-65) with RISP. Surrendered only 1 HR in his first 28 outings (50.1 IP). Made 5 consecutive scoreless appearances from 5/4-17 (9.1 IP, 2 H, 13 SO). In 9 outings from 6/20-7/26, allowed only 1 run in 19.0 IP (0.47 ERA)...Made 7 consecutive scoreless appearances from 6/20-7/17 and did not allow a hit in 4 straight from 6/27-7/7 (8.0 IP). Following the season, was rated by Baseball America as having the best changeup in the organization. Limited to 27 appearances, all in relief, with Double-A Portland due to a DL stint of nearly 2 months...Also made 3 rehab appearances with the GCL Red Sox. Combined to hold opponents to a .326 SLG, allowing only 6 XBH...Had a 3.3 SO/BB ratio (52 SO/16 BB). Held lefties to a .195 AVG (17-for-87)...Posted a 1.86 ERA (4 ER/19.1 IP) in 12 road games while with Portland. Struck out a season-high 6 batters in 2.2 IP on 4/11 vs. Reading (0 BB)...Allowed 0 ER in 9.1 IP from 4/29- 5/15...Had 5 SO and 0 BB in 3.0 hitless innings on 5/11 vs. Trenton. On the DL from 5/21-7/15 due to a right shoulder strain...Made 3 appearances, all scoreless, with the GCL Red Sox during a rehab assignment (4.0 IP, 3 H, 4 SO). Returned to Portland and posted a 5.24 ERA (13 ER/22.1 IP) in his remaining 16 outings, 11 of which were scoreless. Following the season, went 1-0 with 1 save, a 2.16 ERA (2 ER/8.1 IP), and a .194 opponent AVG (6-for-31, BB, 8 SO) in 6 appearances for Arizona Fall League champion Scottsdale. Led High-A Salem pitchers in games (tied, 35) and saves (10) and ranked 3rd in SO (82)...Ranked 4th among Carolina League relievers in SO/9.0 IP (9.15) and had the 2nd-lowest unintentional BB/9.0 IP ratio (1.67). Made 12 scoreless appearances...Struck out at least 1 batter in 33 of his 35 outings and recorded multiple SO 25 times...Had 5 SO in 5 of his appearances. Posted a 2.21 ERA (9 ER/36.2 IP) in his 16 outings from 4/25-6/28...Recorded 53 SO against only 6 BB in April, May, and June (49.1 IP). Made pro debut by posting a 1.25 ERA (5 ER/36.0) over 19 games between Short-A Lowell and Single-A Greenville. Surrendered just 1 ER in 19.0 IP (0.47 ERA) with the Spinners before a 7/31 promotion to Greenville...Did not allow more than 1 ER in any of his 9 relief appearances with the Drive. July 25, 2018 Pawtucket Red Sox released RHP Kyle Martin. July 23, 2018 Pawtucket Red Sox placed RHP Kyle Martin on the temporarily inactive list. January 16, 2018 Boston Red Sox invited non-roster RHP Kyle Martin to spring training. September 12, 2017 Boston Red Sox sent RHP Kyle Martin outright to Pawtucket Red Sox. September 5, 2017 Boston Red Sox designated RHP Kyle Martin for assignment. July 24, 2017 Boston Red Sox optioned RHP Kyle Martin to Pawtucket Red Sox. July 19, 2017 Boston Red Sox recalled Kyle Martin from Pawtucket Red Sox. March 17, 2017 Boston Red Sox optioned RHP Kyle Martin to Pawtucket Red Sox. November 18, 2016 Boston Red Sox selected the contract of Kyle Martin from Pawtucket Red Sox. April 6, 2016 RHP Kyle Martin assigned to Pawtucket Red Sox from Portland Sea Dogs. January 13, 2016 Boston Red Sox invited non-roster RHP Kyle Martin to spring training. July 16, 2015 Portland Sea Dogs activated RHP Kyle Martin from the 7-day disabled list. July 7, 2015 Portland Sea Dogs sent RHP Kyle Martin on a rehab assignment to GCL Red Sox. May 21, 2015 Portland Sea Dogs placed RHP Kyle Martin on the 7-day disabled list. April 6, 2015 RHP Kyle Martin assigned to Portland Sea Dogs from Salem Red Sox. March 28, 2015 RHP Kyle Martin assigned to Boston Red Sox. April 2, 2014 Salem Red Sox activated RHP Kyle Martin. April 1, 2014 RHP Kyle Martin assigned to Salem Red Sox from Greenville Drive. July 31, 2013 RHP Kyle Martin assigned to Greenville Drive from Lowell Spinners. 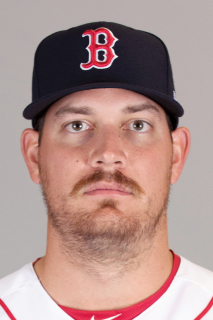 June 13, 2013 Boston Red Sox signed RHP Kyle Martin. June 13, 2013 Kyle Martin assigned to Lowell Spinners.